Here are top 12 objective type sample CouchDB Interview questions and their answers are given just below to them. These sample questions are framed by experts from Intellipaat who trains for Couchbase Online Training to give you an idea of type of questions which may be asked in interview. We have taken full care to give correct answers for all the questions. Do comment your thoughts Happy Job Hunting! 3. What Language is CouchDB Written in? Erlang, a concurrent, functional programming language with an emphasis on fault tolerance. Early work on CouchDB was started in C++ but was replaced by Erlang OTP platform. Erlang has so far proven an excellent match for this project. 4. Why Does CouchDB Not Use Mnesia? The first is a storage limitation of 2 gig per file. The second is that it requires a validation and fixup cycle after a crash or power failure, so even if the size limitation is lifted, the fixup time on large files is prohibitive. Mnesia replication is suitable for clustering, but not disconnected, distributed edits. Most of the “cool” features of Mnesia aren’t really useful for CouchDB. Also Mnesia isn’t really a general-purpose, large scale database. It works best as a configuration type database, the type where the data isn’t central to the function of the application, but is necessary for the normal operation of it. Think things like network routers, HTTP proxies and LDAP directories, things that need to be updated, configured and reconfigured often, but that configuration data is rarely very large. 5. How do I use transactions with CouchDB? If the _rev matches the currently stored number, be done! In this instance, there are two possible failure scenarios to think about. If the most recent document version has a quantity of 0, you handle it just like you would in a RDBMS and alert the user that they can’t actually buy what they wanted to purchase. If the most recent document version has a quantity greater than 0, you simply repeat the operation with the updated data, and start back at the beginning. This forces you to do a bit more work than an RDBMS would, and could get a little annoying if there are frequent, conflicting updates. I’d start with a “master product” document that includes all the descriptor data (name, picture, description, price, etc). Then I’d add an “inventory ticket” document for each specific instance, with fields for product_key and claimed_by. If you’re selling a model of hammer, and have 20 of them to sell, you might have documents with keys like hammer-1, hammer-2, etc, to represent each available hammer. Then, I’d create a view that gives me a list of available hammers, with a reduce function that lets me see a “total”. These are completely off the cuff, but should give you an idea of what a working view would look like. This gives me a list of available “tickets”, by product key. I could grab a group of these when someone wants to buy a hammer, then iterate through sending updates (using the id and _rev) until I successfully claim one (previously claimed tickets will result in an update error). This reduce function simply returns the total number of unclaimed inventory_ticket items, so you can tell how many “hammers” are available for purchase. This solution represents roughly 3.5 minutes of total thinking for the particular problem you’ve presented. There may be better ways of doing this! That said, it does substantially reduce conflicting updates, and cuts down on the need to respond to a conflict with a new update. Under this model, you won’t have multiple users attempting to change data in primary product entry. At the very worst, you’ll have multiple users attempting to claim a single ticket, and if you’ve grabbed several of those from your view, you simply move on to the next ticket and try again . Click here to learn more about details of online CouchDB training certification course. 6. How do you compare MongoDB, CouchDB and CouchBase? MongoDB and CouchDB are document oriented database. MongoDB and CouchDB are the most typical representative of the open source NoSQL database. They have nothing in common other than are stored in the document outside. MongoDB and CouchDB, the data model interface, object storage and replication methods have many different. Read this blog to get better understanding of comparison between MongoDB & CouchDB. 7. How is PouchDB different from CouchDB? PouchDB is also a CouchDB client, and you should be able to switch between a local database or an online CouchDB instance without changing any of your application’s code. View Collation – CouchDB uses ICU to order keys in a view query; in PouchDB they are ASCII ordered. View Offset – CouchDB returns an offset property in the view results. In PouchDB, offset just mirrors the skip parameter rather than returning a true offset. 8. So is CouchDB now going to written in Java? Erlang is a great fit for CouchDB and I have absolutely no plans to move the project off its Erlang base. IBM/Apache’s only concerns are we remove license incompatible 3rd party source code bundled with the project, a fundamental requirement for any Apache project. So some things may have to replaced in the source code (possibly Mozilla Spidermonkey), but the core Erlang code stays. An important goal is to keep interfaces in CouchDB simple enough that creating compatible implementations on other platforms is feasible. CouchDB has already inspired the database projects RDDB and Basura. Like SQL databases, I think CouchDB needs competition and a ecosystem to be viable long term. So Java or C++ versions might be created and I would be delighted to see them, but it likely won’t be me who does it. 9. What does IBM’s involvement mean for CouchDB and the community? – The code is now being apache licensed, instead of GPL. – Damien is going to be contributing much more time! Become CouchDB Certified in 3 hrs. 10. Mention the main features of CouchDB? JSON Documents – Everything stored in CouchDB boils down to a JSON document. RESTful Interface – From creation to replication to data insertion, every management and data task in CouchDB can be done via HTTP. N-Master Replication – You can make use of an unlimited amount of ‘masters’, making for some very interesting replication topologies. Built for Offline – CouchDB can replicate to devices (like Android phones) that can go offline and handle data sync for you when the device is back online. Replication Filters – You can filter precisely the data you wish to replicate to different nodes. 11. What is the use of CouchDB? CouchDB allows you to write a client side application that talks directly to the Couch without the need for a server side middle layer, significantly reducing development time. With CouchDB, you can easily handle demand by adding more replication nodes with ease. CouchDB allows you to replicate the database to your client and with filters you could even replicate that specific user’s data. Having the database stored locally means your client side application can run with almost no latency. CouchDB will handle the replication to the cloud for you. Your users could access their invoices on their mobile phone and make changes with no noticeable latency, all whilst being offline. When a connection is present and usable, CouchDB will automatically replicate those changes to your cloud CouchDB. CouchDB is a database designed to run on the internet of today for today’s desktop-like applications and the connected devices through which we access the internet. Interested in learning CouchDB? Click here to learn more in this CounchDB Training Course! Couchdbkit’s goal is to provide a framework for your Python application to access and manage Couchdb. 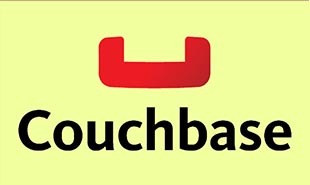 It provides you a full featured and easy client to access and manage CouchDB. It allows you to manage a CouchDB server, databases, doc managements and view access. All objects mostly reflect python objects for convenience. Server and Databases objects could be used for example as easy as using a dict. "1 Responses on Top Couchdb Interview Questions And Answers"
Really a great initiative…Thanks a lot for providing such a good knowledge. 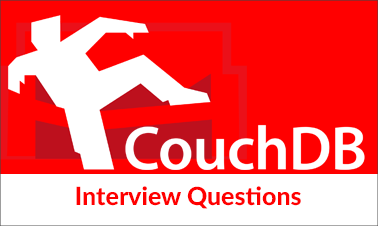 Sign Up or Login to view the Free Top Couchdb Interview Questions And Answers.